Drawing on his unsurpassed experience teaching new users, professional data scientist Jared P. Lander has written the perfect tutorial for anyone new to statistical programming and modeling. 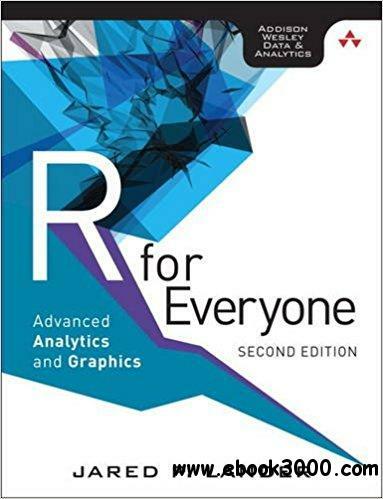 Organized to make learning easy and intuitive, this guide focuses on the 20 percent of R functionality you'll need to accomplish 80 percent of modern data tasks. Lander's self-contained chapters start with the absolute basics, offering extensive hands-on practice and sample code. You'll download and install R; navigate and use the R environment; master basic program control, data import, manipulation, and visualization; and walk through several essential tests. Then, building on this foundation, you'll construct several complete models, both linear and nonlinear, and use some data mining techniques. After all this you'll make your code reproducible with LaTeX, RMarkdown, and Shiny. By the time you're done, you won't just know how to write R programs, you'll be ready to tackle the statistical problems you care about most.